A peltate is a circular leaf where the stem attaches at the center of the leaf rather than the edge. For example, a lily pad is a peltate leaf. 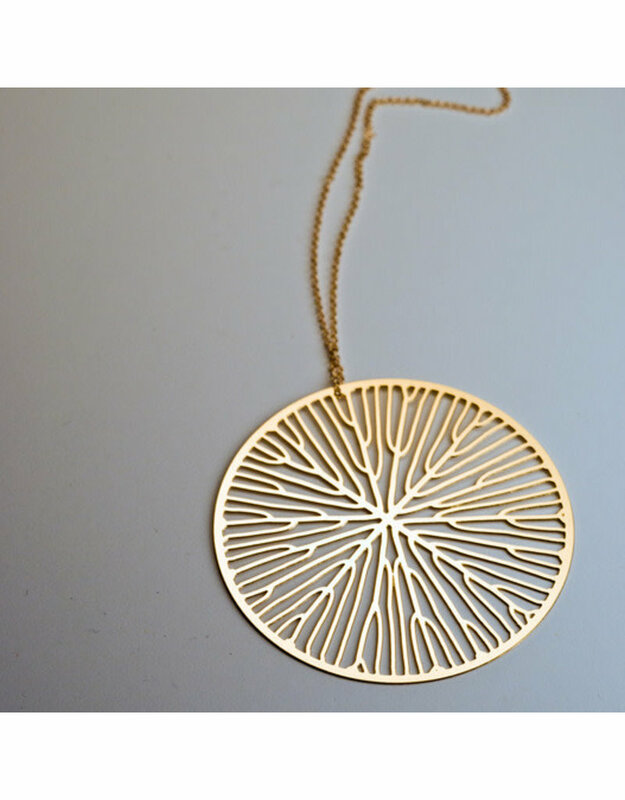 Nervous System crosses the lily pad design with the ginkgo leaf's venation pattern to arrive at this circular pendant. As the ginkgo's "... veins radiate from the center they fork repeatedly producing a tree-like structure defined by Y shaped nodes." 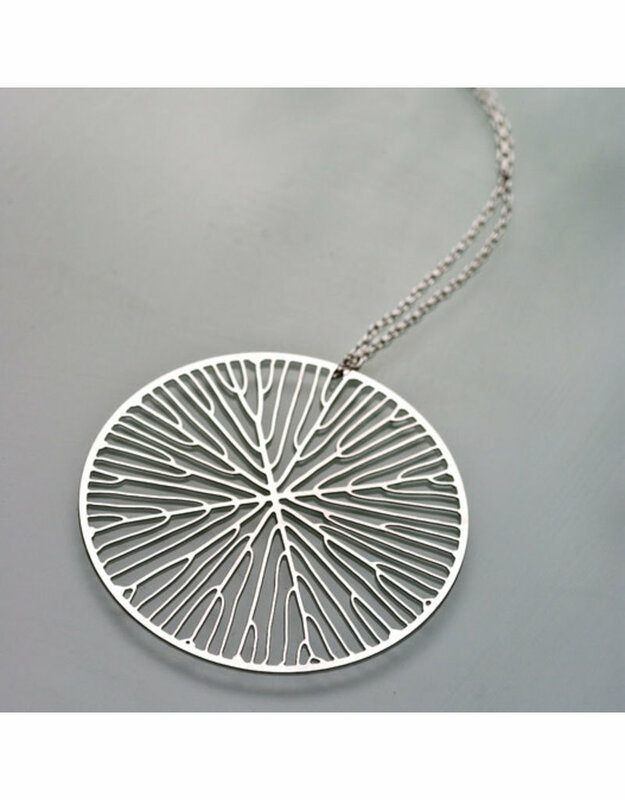 Nervous System "grew" the pattern in their leaf venation computer simulation, and then etched it from a sheet of stainless steel. 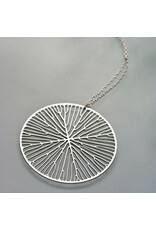 The unplated stainless steel necklace comes with an 18" sterling silver chain. 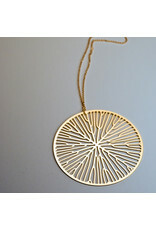 The 24K gold-plated necklace comes with a gold-filled chain.